We are building a map of all the place you can experience weaving for yourself. 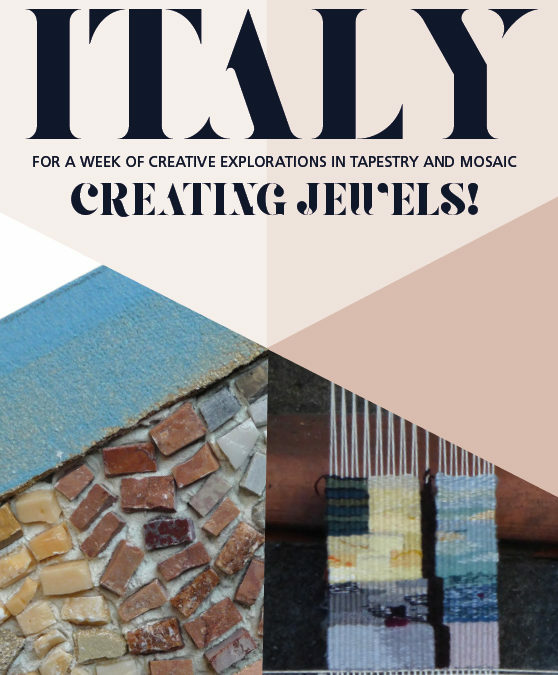 We hope this will become a useful resource whether you are looking for an exhibition to visit, a workshop to take part in, or some one on one tuition to improve your weaving skills. If you run classes, stage exhibitions, provide mentoring, or anything else that would be of interest to the wider weaving community please use the form at the foot of the page to send us the details and we will add you to our map. Home to the Tapestry Showcase exhibition. Dovecote presents a year round programme of weaving exhibitions, curatorial tours, artists talks and workshops. 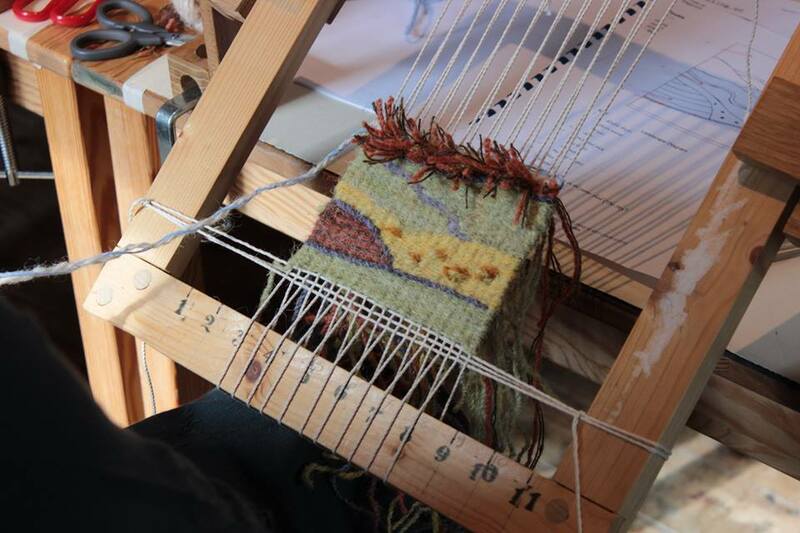 The Centre for Open Learning offers short courses and summer schools on a wide range of subjects, including weaving. 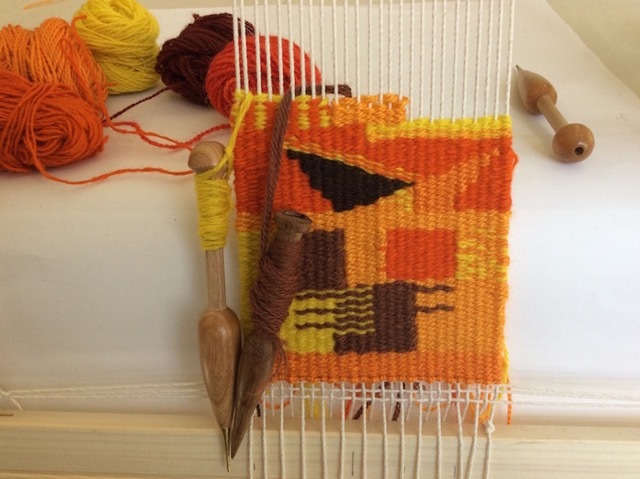 Laura runs beginners workshops from her studio in Edinburgh and weaving holidays abroad. Visit Louise Oppenheimer‘s studio and gallery,or book a one day workshop. Jo MacDonald Tapestry offers weaving courses at all levels as part of the Edinburgh Adult Education Programme, in Drummond Community High School. Jane Binks runs one to one and group tapestry workshops from her attic studio in Gorebridge, 15 miles south of Edinburgh. Edinburgh University’s Centre for Open Learning offers short courses in subjects ranging from archaeology to art workshops. Dovecot promotes contemporary art, craft and design through its vibrant exhibition programme, and invites you to view the weavers at work in the Studio. Laura Magliveras runs occasional beginners workshops in Edinburgh and week long weaving holidays abroad. At Studio 114 Fiona Hutchison offers a program of one day, weekend and weeklong workshops as well as 1-1 sessions and mentoring for artists. Louise Oppenheimer offers one day workshops in hand weaving at her studio in Lochgilphead and welcomes visitors throughout the year to her on site studio and gallery. Jo McDonald offers tapestry weaving courses at all levels as part of the Edinburgh Adult Education Programme, in Drummond Community High School. Jane Binks runs one to one and group weaving workshops from her attic studio in Gorebridge, 15 miles south of Edinburgh. Let us know about any places or events that you would like us to add to our Where to Weave resource. We will add a pin to the map to help people find you, and a mini profile detailing the services you offer, including a link to your website where people can find out more about what you are offering. If you have specific class dates then we will add these to the accompanying blog.